Today’s post is written by our dear friend and Director of Operations for Deeper Still, Jacque Murphy. Thank you Jacque for sharing your heart today. Recently I had the chance to take a mission trip with my church to Tijuana, Mexico. My heart in going on this trip was to share my personal Deeper Still testimony. For two years I had it on my heart to share my story with the women of Tijuana. I believed, they too, much like me, carried shame and guilt because of abortion in their lives. Abortion crosses all borders and pays no partiality to ethnic or country lines. The last day our team had planned do to a ladies’ retreat for a church there. Everyone had tasks to do and I asked what was my task. A team member encouraged me to go somewhere and just prepare. I was humbled that they would allow me to take time to prepare my heart. The place where the retreat was being held was in a condo on the beach offered by someone from the church. The windows painted a picturesque view of the ocean and breezes from the Pacific Ocean swept through the room. As I looked out over the water, I asked the Holy Spirit to fill my heart to overflowing. I began to praise Him for the freedom He had given to me and wanted that same freedom for these ladies as well. I asked Him if there was anything I needed to say I haven’t said before. While reading through my written story, the Lord brought to mind things I had forgotten. I remembered the old feelings. In my mind, He took me back to that time. As He did, I realized I still had these feelings lurking inside of me today. Even though I’ve read through my story a dozen times before I felt there were so much more the Lord was showing me this time. As I read through my story, I began to have a clearer understanding of what I’ve been forgiven for. The price of my freedom was great! The Lord revealed it wasn’t fear that had a hold of me but rather shame. Shame had become a part of my identity. Shame reared its ugly head often, eagerly reminding me of my failures and my faults. Shame’s accusations stole my voice from me. Shame squashed me as it continually attempted to keep me under its thumb. 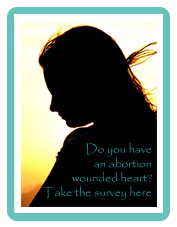 I had received freedom from the shame of my abortion at my Deeper Still retreat but that was just the first layer. Shame had been a part of identity since childhood and its roots were vast and deep. Shame had hid out and dressed up in a guise of humility and or at times embarrassment. It focused on my failures and flew falsehoods that I should be ashamed because I wouldn’t want to be too puffed up or proud. This past year the Lord has reminded me in several ways of who I am in Him. When I began to believe it, shame would be right there to remind me of my failures and that I wasn’t enough. In Mexico, the Lord showed me it was time to take off that coat of shame and put on my robe of righteousness and believe who He says I was in Him, a daughter of the Most High King; clothed in a robe of Righteousness, with a crown on my head, and wearing the family signet ring. That coat of shame fell off. The lies I believed that I wasn’t enough fell off. This precious gift of freedom was given to me not by anything I’ve done but it was freely given to me by Jesus Christ himself. Jesus came to give Life to its fullest and I feel full! I know I’m not done yet.There’s more for me and for you. He is the Way, the Truth and the Life! He is the way to freedom, He is the truth of our foundation, He is abundant life. Father, thank you for so great a love. Thank you that you have transferred us out of the darkness and into your wonderful light. Thank you for how you continually bring new revelation of who you are and who we are in you. Lord, for those continuing to walk in shame, will you light up the darkness and reveal the great exchange you have in changing a cloak of shame in for a robe of righteousness. May we walk in the fullness of all you have for us. In Jesus’ Name, Amen.